Reaching the end of your tether can be a positive experience. It’s a little cliche to say “the darkest night is before the dawn”, but I’m okay with letting the cliche stand when it’s this important. Today is Good Friday in the Western Christian calendar, and though it isn’t the darkest night – the dawn being still two days away – it is nonetheless a grim entry into the event that epitomises the principle of reversion. Reaching the end of your tether can mirror this principle of reversion to greater or lesser degrees once we realise that our old ways, our old efforts, our old self is just not going to cut it; when we recognise without caveats or excuses that something more is required. For me this has translated into a sincere conviction that without some kind of spiritual/mental discipline I am in danger of being entirely depleted by the demands of daily life. When it comes to such disciplines, I’ve done a lot of window-shopping and a lot of test-driving. I’ve seen and read enough to make me cynical of some people’s aims, methods and intentions as well as pessimistic about the benefits that accrue. But a sincere effort requires a careful retreat from cynicism and pessimism. It’s true that there’s a lot of rubbish being sold, and a lot of things presented as one-size-fits-all solutions. That hasn’t worked for me in any other area of life, so why would it work in this one? Struggling to learn a martial art has taught me that I can’t afford to take anything for granted. Nor is it simply a matter of asking lots of questions. We have to bear in mind personal idiosyncrasies, temperament, life experience, and individual circumstances, and the more you diverge from the mean, the more the onus is on you to recognise and understand where and how you diverge. We are all individuals, but some of us are more individual than others. For this reason I wouldn’t try to sway other people any more than I would let myself be unduly swayed. I have to practice a kind of philosophical autarky. This also means I need to advance on the basis of what I know to be true, not on the basis of what I can prove to others, and on the personal level of overcoming compulsions and dealing with harmful emotions it is far more important to adhere to a discipline that works than to seek theoretical certitude of its metaphysics and merits. Just as you can accept life-saving help from a stranger without first establishing an internally coherent and externally robust theory of charity, reciprocity, and justice. I once read a description of a philosopher as someone who worries that what works in practice might not work in theory. It’s especially apt in my context, though a little more defensible than it sounds. Nonetheless, the prevailing theme of 2016 for me appears to be one of putting aside theoretical doubts about things I have known for many years to be useful, valuable, and true. One of the aspects of Chinese philosophy that appeals to me is the apparent intuitive grasp of theological themes made explicit centuries later in the events that form the heart of the Christian faith. The Good Friday reading from Isaiah is likewise presented as a presaging of the messiah’s death and resurrection. 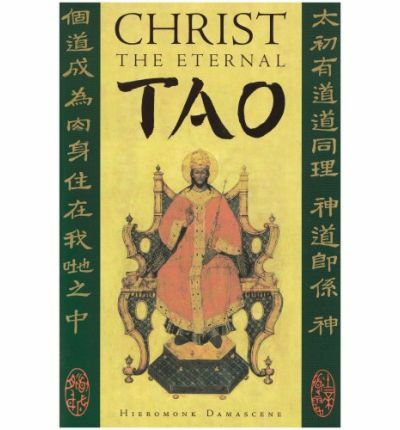 This aspect of Chinese philosophy has not been well explored, though it appears in at least one book: Christ the Eternal Tao, written by a Russian Orthodox monk who was into Buddhism and Daoism before his conversion. The Yi Jing is an ancient book of wisdom and divination, dating anywhere from the 10th to the 4th centuries BC with commentaries added within the following few centuries. Yet it is in reference to this that the Sage said “Only he who has accepted the dirt of the country can be lord of its soil shrines; only he who takes upon himself the evils of the country can become a king among those what dwell under heaven.” Straight words seem crooked. See, my servant will prosper, he shall be lifted up, exalted, rise to great heights. The Lord has been pleased to crush him with suffering. If he offers his life in atonement, he shall see his heirs, he shall have a long life and through him what the Lord wishes will be done.